Scandinavian trade delegation of 25 Norwegian businessmen and journalists visit Madison to publicize the inaugural flight of Scandinavian Airlines System (SAS) direct service from Copenhagen to Chicago. 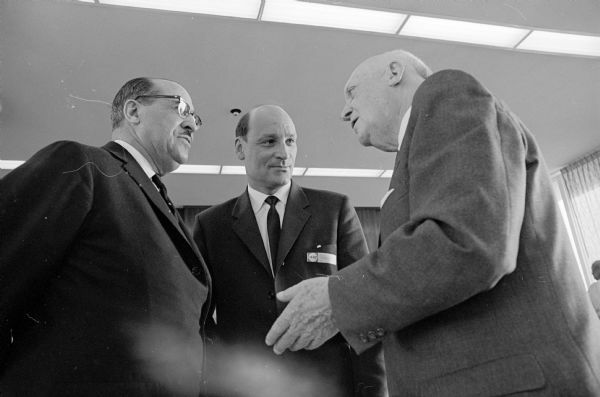 Shown (L-R) are delegates Clifton Wharton, and Erik Himle talking to E.B. Fred, UW President. Published in the Wisconsin State Journal on April 5, 1964. One of 35 images.